The Crusader Sword Frog is based on the iconography of holy warriors honor bound to their cause. This handmade leather frog features a steel Crusader shield concho on its front accent panel, adding medieval style to its versatile form. The tube-shaped body of this sword frog is great for LARP weapons, and it even suits LARP axes and daggers. 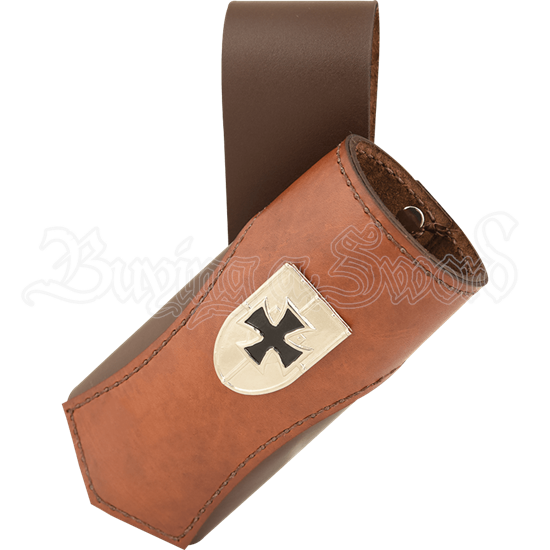 Made of 5/6 ounce chrome tanned leather that is both sturdy and soft, the body comes in your choice of black or brown. The front accent panel is made of 3/4 ounce leather and comes in a wide variety of color options to suit many looks. 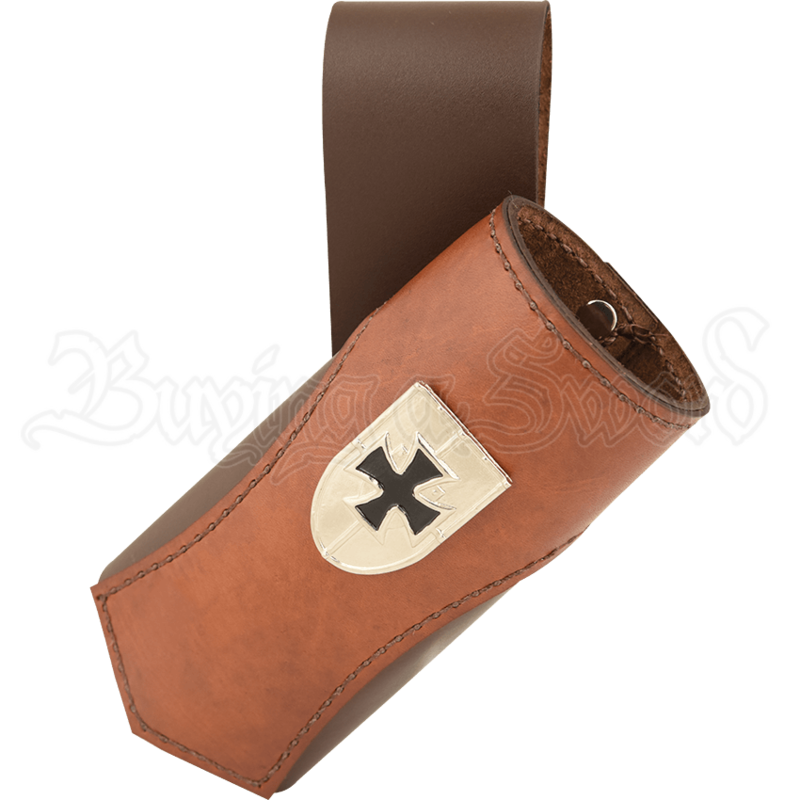 Easily wear it on belts up to 3 inches wide using the convenient back loop. 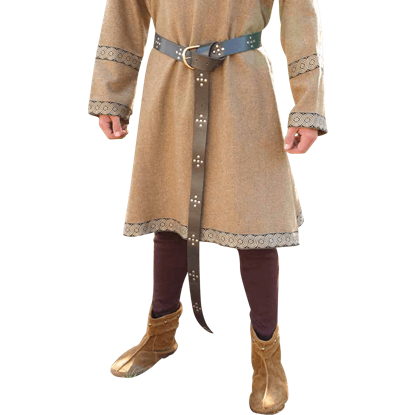 Embark on your next adventure with the might of a crusading knight when you equip this leather LARP frog.